Lots of Travel, No Blog Updates! Well… I have been way behind on travel blogging so I’ll give a run down of the last few places I’ve been since January and highlight my fave parts of each trip. OK! And there it is… I haven’t included hyperlinks or pictures because you can google those! Definitely places worth visiting on Google and for real. Just posted a crossover piece on jibberyjab.wordpress.com. Take a read! I’m one to write about running events, but haven’t yet done so since I moved to Singapore! What’s wrong with me! You can read some of my other writings about running at jibberyjab.wordpress.com. The most recent running event I participated in was at the beginning of December. 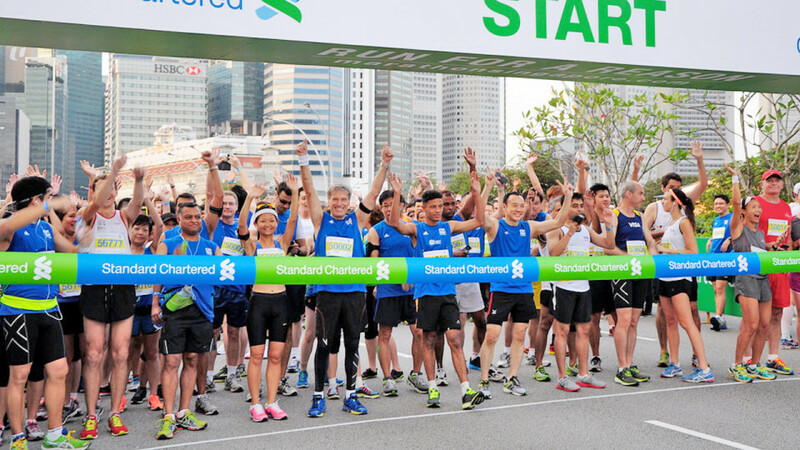 It was Singapore’s premiere running event – the Standard Charter Marathon. No, I didn’t run the full, but I did run my first half marathon in a tropical climate. Until that weekend, my farthest distance had been 10kms in this climate. I cross trained by doing boot camp twice a week and yoga once a week, more cross training than I did when training for the NYC full marathon! I was prepared to merely complete the run, knowing it would be tough in the climate and that I would definitely not come close to a PR. So how did it go? Well, I finished. My worst time, worse than my first half marathon that I didn’t train for at all. The climate got me, as did a little IT band trouble. While overall I enjoyed the experience of this event, I was disappointed with a few of organizational bits. For starters, with the amount of sweating that takes place in a tropical climate, there were too few water and 100Plus stations. Way too few. Many people were really struggling and sidelined because of what appeared to be dehydration. I always carry my own water and gels, and thank goodness I did this time. Secondly, the second half of the course was on an open freeway. No coverage, in the open sun for 11 km, with few water stations and fewer toilets. Also, I’m not sure if it was because of the half marathon route, or this was a general thing, but there were no spectators to cheer us on! None! Well except near the finish line area, but that’s not when you need people cheering you on! You need those silly running signs along the way to help you forget that you are in pain or don’t feel like finishing! I think the biggest surprise for me, especially after a long run – was that there was no food! Yes there was water and 100Plus, but there were no fruits, pretzels, bagels or anything to recharge! For a major event, this was very disappointing. Every race I’ve participated in – from 5k’s to halves have all had something for runners to nosh on afterwards. Granted when you cross the finish line, you kind of forget the trouble you had and you are just glad to have accomplished this feat! You receive the medal (which I have to say was a little underwhelming for this major event) and you walk through the tents to check out the cool things that are set up. So enough with the Negative Nelly! I’m glad I participated, but I won’t do this one again. And in the midst of my complaints, I did find this article on RunSociety about SCMS 2015 – and they are right, there were many reasons to smile during the event as well. My first trip to Bali was a girl’s weekend getaway. A few ladies from work and I bonded quickly, so we decided that Bali would be a great place for our first weekend trip together! To say the least, it was fantastic! What a lovely weekend of relaxing, exploring, eating, and enjoying our time together! We were lucky to have a built-in guide, as one of the girls used to live in Bali for a few years prior to moving to Singapore. Going with someone who’s lived there was very helpful, so obviously we went to a bunch of lovely spots! We stayed at a lovely villa in BatuBelig called Umah di Desa, owned by G’s friend. This place was exactly what we needed to escape a crazy term at school, and to do a little poolside report writing. 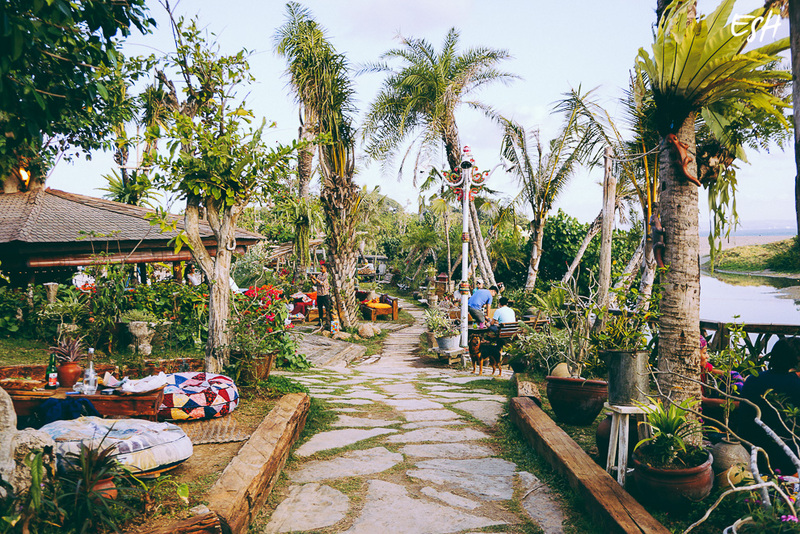 Just after arrival we went for drinks at La Laguna in Canggu, an outdoor Balinese lounge that was so relaxing and beautiful with it’s atmosphere and lights. 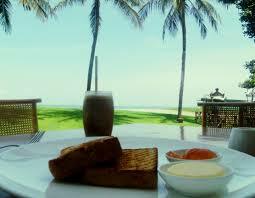 Delicious coffee beverages and lunch items at Bungalow. Did a little shopping at this cute boutique/cafe too. And it wouldn’t have been a girl’s weekend away without going to the spa! We had a lovely afternoon getting pampered at the Think Pink Spa in Canggu. Well, this post has been in the draft box since the end of October… Be prepared for a few posts on travel in the next few days! When I began writing this, I claimed to have found a new love. 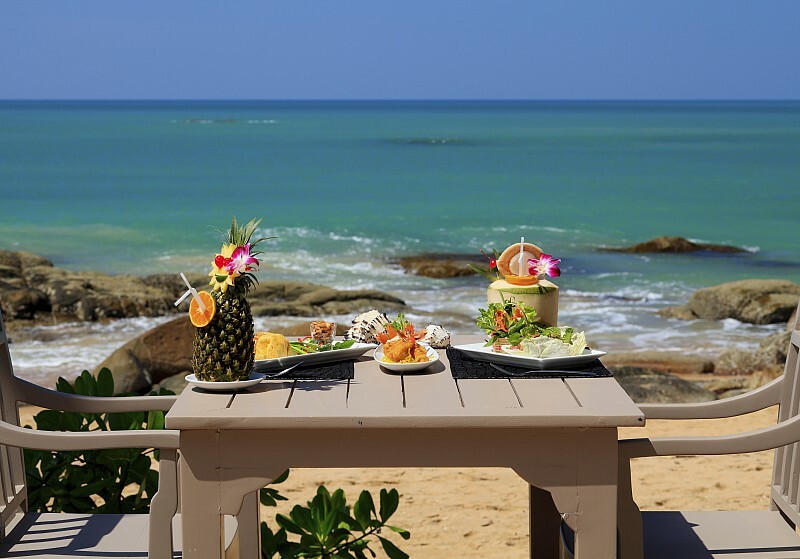 It’s name: Morecea by Kao Lak Resort, and it’s in Khao Lak, Thailand. And well, it’s true! There are so many treasures of places in Thailand to love! This weekend getaway was booked, once again not knowing if the haze would still be blanketing Singapore. I read on a random Facebook post that this little place about an hour north of Phuket, bordering a national park was a lovely little spot for a weekend away. As soon as I read that, I looked it up. Low and behold, I found a lovely resort that was perfect for a weekend away! Like most of our weekend trips, we don’t really plan anything because we want the time to be relaxing. We spent the weekend sitting at the pool doing a little work, having some signature cocktails at the beach bar, and enjoying local fare. The resort is set on a hill so working around is a bit of a workout, but it really is beautiful. The rooms and bungalow/villa style rooms are as we like them with open showers, tile floors and that calming Thai feel. 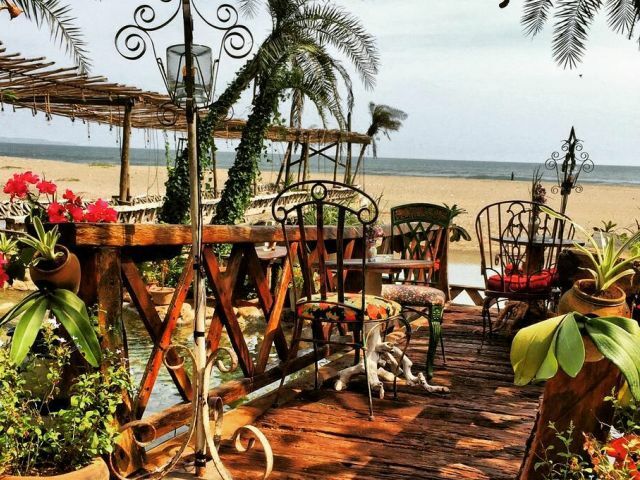 One of my favorite things about the resort was the beach bar/restaurant, where the tables line the edge of the beach and you’ve got a perfect place to sit and enjoy the view. Put it on your lost of places in Thailand to visit! Our weekend away in Bangkok was definitely not a reflection of the 80’s tune, but rather a couple of nights to have some quiet. 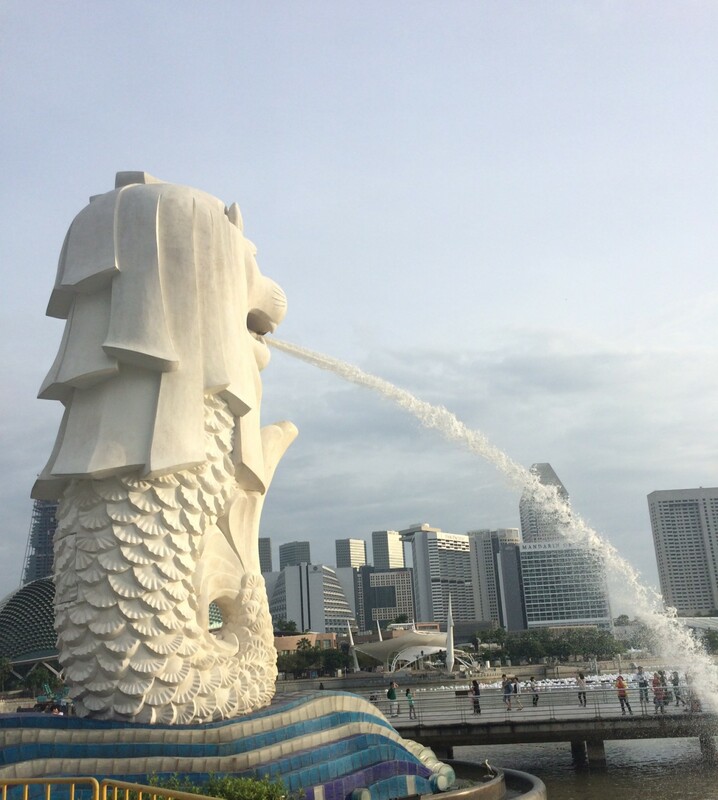 It was booked as a result of the looming haze in Singapore. We figured that we would escape on weekends when we could. Strangely the haze had been better the previous week but got worse quickly on Friday. Not only that, the weekend getaway was well-timed for Brett to escape a horrible work week so our time in Bangkok was purely for relaxation. Upon my searching for resorts, I found this lovely place in the city along the river, across from the Asiatique night market. The Anantara Riverside Resort and Spa gave us a great relaxing city escape. They’ve got plenty of restaurants on site, a gorgeous gym and spa, and a boat shuttle to the night market that runs frequently. We had a great time using the amazing gym, relaxing by the pool and being surrounded by lush vegetation and some wildlife. They’ve got a large population of catfish in the river that were fun to feed. The restaurants leave the discarded bread crusts in a basket for people to toss into the river for fish feeding, and apparently this practice is good luck! We enjoyed signature drinks at the pool bar, teppanyaki at Benihana (yes, we did), and just wondering around the lovely property. Walking around Asiatique night market, getting a fish pedicure, and listening to live music was a great time too. I’d definitely stay at the resort again, or try any of their other properties! I thought perhaps it would be disrespectful or frowned upon to refer to Ho Chi Minh City as Saigon, but Saigon is what the locals call it. So Saigon it is. Over fall term break Brett and I made it Vietnam this time. If you read a previous post about our visa snafu, you’ll know why we didn’t make it on our first attempt. So with visas already in our passports, we made our way to Saigon for a few days. A few word to describe the city… organized chaos, loud, diverse, friendly, comfortable – if you are comfortable with large urban centers. Our days were a good mixture of relaxing and “touring” – by that I mean, private touring. We stayed at Rex Hotel, a pinnacle in Saigon history and life in general. It is the location where many American soldiers would go to socialize during the war. It’s located right next to City Hall and to a newly constructed walking street for locals. This area allows people to enjoy walking around freely without the need to try and cross a street, walking in between the millions of Vespas and Honda scooters. The hotel is in District 1, one of the main areas that you’ll find tourists, shopping, a mix of local restaurants, and all the things you need to have a good time. We joined a walking and food tour, eating at some very local spots in the markets. Everyone sits on child-sized red and blue plastic tables and chairs – not super comfy for taller North Americans. On this tour we ate some noodles, baguettes with pate and vegetables, Vietnamese coffee, Saigon beer and beef wrapped lemongrass. On this tour we found our favorite spot of the trip – an unassuming building housing some very cool coffee safes and shops, one of them being Banksy Cafe. This building is across the street from the beautiful national bank building and a couple blocks away from the Ben Thanh Market (a place that was just too much for me!). We went to the War Remnants Museum and saw a new perspective on the Aggressive American War, aka the Vietnam War. Well worth a visit when in Saigon. But be wary of the taxi you take when leaving the museum is one of the trusted few! We also went on a private tour of the Cu Chi tunnels and the Mekong Delta. Really cool experience getting to crawl through the tunnels the Vietnamese used to live in and hide from American soldiers. The time at the Delta was spent boating between the islands visiting the people who make anything with coconut, eating fish, fruits, and local foods, and taking a nice little boat ride down a canal. This was a really full day, but worth doing in one day to get all the driving over with. Overall we enjoyed our time in Saigon. The French influence is evident and interesting, the people were great, the food was good, the pagodas were beautiful. *Apologies that the photos are limited and from Google stock… my iPhoto was not cooperating. A new place to visit for the weekend. Weekend to escape the haze. Aug 6th-9th over SG50 Holiday weekend. Awareness about clean sanitation for everyone! Done! And came in 2nd!